I am sure you will agree that in our industry there are a number of unwritten rules that shop owners have followed for decades. They know that they have to hire gifted technicians, stay at the forefront of vehicle technology (especially with the rise in digital vehicle inspection technology), and they can never jeopardize their relationships with their customers—just to name a few. Unfortunately, there is another rule that far too many shop owners (and service advisors) have believed in for decades. It’s a rule that’s been passed down from one generation to the next—that whenever you have first-time customers in your shop, and you discover that their vehicles need a lot of work, you are better off holding back on some of the recommendations. This, however, should never be the case! The basis for this belief is that with first-time customers, too many recommendations without solid evidence will scare them off. These owners and advisors typically feel that they are better off just recommending the repairs or services that the customer brought the vehicle in for, building a relationship with the customer, and then discussing the other required services during the next visit. There is no question that these owners and advisors typically have good intentions. They believe in their hearts that since they are not trying to sell their customers something they don’t need, they’re not crossing any ethical lines. Unfortunately, that’s the furthest from the truth. Have a shop meeting and pull up an extra chair. Tell your entire staff that the empty chair represents the spirit of your customer and that everything that is discussed during the meeting should be able to be said in front of the customer without hesitation. Start the meeting by reinforcing your commitment to both ethics and customer service. You should then review your digital vehicle inspection process. I strongly recommend using well-constructed digital vehicle inspection forms, and taking advantage of a variety of those forms: A form for complete vehicle inspections, a safety inspection form, forms for the digital inspection of specific systems, etc. You should then let all of your employees know that every vehicle will be inspected in a manner that complies with your company policies, that all discoveries are to be photo-documented, included in the digital inspection that is sent to the customer, and that the inspecting technician is to sign the completed inspection form. Once the completed form is turned over to the advisor, all of the recommended repairs and services are to be estimated, and everything is to be fully disclosed to your customers. Not only is this the professional thing to do, but it’s the ethical thing to do. Your customers have the right to know about everything you have discovered, and they have the right to know how much the repairs and services will cost if authorized. Using a digital inspection software like BOLT ON TECHNOLOGY can help make this process seamless and easy for your technicians and customers. With Mobile Manager Pro you can include pictures and videos to educate customers on the “why” behind recommended repairs. They can see for themselves the wear and tear that happens to their vehicle. Digital technology allows for more educational opportunities, and an educated customer is a confident customer. 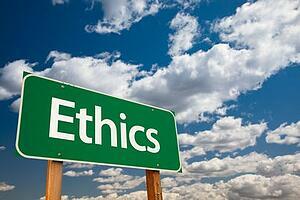 I am sure you will agree, when it comes to ethics, there are no exceptions. Yet many shop owners and advisors will argue that if they have a vehicle that is worth $1,000, and they discover that it needs $5,000 worth of work, then there is no sense in putting together an estimate. At Elite and BOLT ON, we adamantly disagree. The vehicles belong to your customers—it’s their money, and it’s their choice. Just because an advisor feels that a vehicle is not worth fixing, it doesn’t mean that the customer will feel the same way, as the vehicle may hold a special place in the customer’s heart. So mandate complete and professional digital vehicle inspections that meet with your policies, and insist on full disclosure to all of your customers. They may not buy everything that your advisor has recommended, but a few things are for certain: Your customers will know about everything that needs to be done, you’ll have detailed records, your sales and profits will increase, and you will be doing the right things for the right reasons. If you follow this advice, and if you never put money ahead of people, you’ll be sure to earn repeat customers at your shop. Since 1990, Bob Cooper has been the president of Elite, a company that strives to help shop owners reach their goals and live happier lives, while elevating the industry at the same time. The company offers coaching and training from the industry’s top shop owners, service advisor training, peer groups, along with online and in-class sales, marketing and shop management courses. You can learn more about Elite by visiting www.EliteWorldwide.com, or by calling 800-204-3548. How Can Auto Repair Shops Get Involved in the Community?